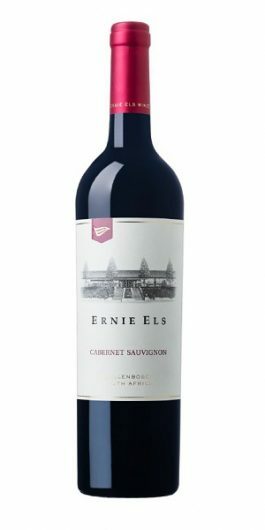 Ernie Els' Cabernet Sauvignon vineyards grow on the warm north-facing slopes of the Helderberg region within the Stellenbosch appellation. A terrific follow up to the profound 2015, this shows a black core and crimson edge, offering a brightness to the densely ripe fruit. The decadence on the nose brings to mind milk chocolate melted over baked blueberries, Morello cherries and cream! It is full in body with chalky tannins, imbued by a rich texture and salty liquorice on the finish which delivers finesse and serious length. Challenging conditions led to a reduced wine grape crop for South African producers in 2016, but grapes were healthy and concentrated flavours promise good wines. The weather was very warm, especially from the end of October towards the end of January, which restricted the growth and constituted lower bunch masses and smaller berries. However, the dry conditions led to the vineyards and grapes being very healthy overall. Good reserves were accumulated during the post-harvest period (April and May), after which leaf fall occurred mostly at the right time. The winter started off late in most of the regions but the weather conditions were cold enough to break dormancy. Spring came on time and the weather conditions were ideal which led to good, even bud burst. The harvest period started a week early due to the warmer weather and it ended about two weeks earlier. The grapes were hand-picked in the cool of early morning. Whole berries were fermented in open top tanks and barrels with intermittent pumpovers and punch downs to ensure a balance between flavour, colour and tannin extraction from the skins. After primary fermentation some tanks and barrel underwent extended maceration as required before aging for 17 months in 300L French oak barrels, of which 20% were new. It’s still quite firm and dense right now [...] but the graphite and cassis notes are there beneath the surface. One for the cellar. Medium in body but full in character, charm and structure with notes of cassis, mint, baked plums and liquorice on the nose, leading to a richly-fruited palate. Hints of dried herbs and beef stock add complexity and lure to the finely-textured, fruit-coated tannins. The 2015 vintage will be remembered as one of the driest and earliest in years, with a somewhat smaller wine grape harvest promising exceptional wines. Warm weather in August resulted in earlier bud break, after which a warm, dry and windy summer kept vineyard growth under control and accelerated ripening by approximately two weeks. The dry weather also led to one of the healthiest seasons in years, with almost no losses due to diseases or rot. With the absence of the usual heat waves in most regions, cooler than usual weather in February was ideal for ripening and harvesting. Lower temperatures at night during this time contributed towards good flavour development in the white wines. Although somewhat smaller, this was one of the best, if not the best, harvests in years. On the sorting table, all excess stalks and inferior berries were carefully removed. Grape bunches were gently destalked with a and lightly crushed. Fermentation took place in 7-ton, open-top stainless steel tanks. The wines were pumped-over and punched-down manually three to five times a day to ensure maximum colour extraction from the skins. After primary fermentation the wine was left on its skins for 10 – 16 days before pressing. The wine was then aged for 17 months in 300L French oak barrels, of which 20% were new. A very pure varietal expression of the grape, with a core of sweet cassis and bramble fruit and stylish oak. 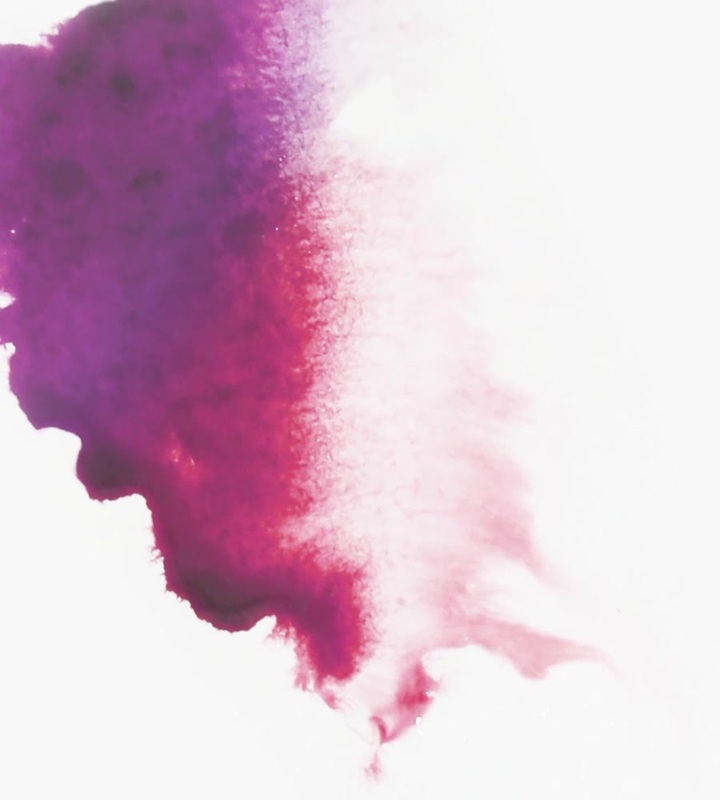 The 2014 is a lighter vintage, showing the red fruit spectrum of Cabernet Sauvignon. The nose tempts with notes of coconut, vanilla, raspberries and sweet spice, leading to a polished, supple palate with hints of fine white chocolate. The richness of cranberries and morello cherry gives length while the salty liquorice edge offers freshness and elegance. Crunchy, red-fruited tannins melt into a soft, slightly creamy finish. Initial vineyard growth was slow due to late cold fronts experienced during August 2013 followed by cool, wet weather at the start of the growing season leading to some challenges. Mid-November created challenging spraying conditions and limited access to the vineyards. As a result, downy mildew led to crop losses early on in the season in some of the estate’s red wine areas. Thereafter, favourable climatic conditions improved for flowering and good berry set ensued. The high rainfall in mid-November did however spark vigorous growth which required extra input to ensure superior grape quality and disease prevention through good canopy aeration and sunlight exposure. Widespread rainfall during early January increased pressure on viticulturists to prevent disease and rot. Ideal dry and moderate conditions reigned during ripening in January and mid-February after which a warm period accelerated ripening and resulted in great pressure on harvest intakes. The wine potential looks promising in terms of quality. Moderate weather conditions during the harvest season contributed to intense red wines. On the sorting table, all excess stalks and inferior berries were carefully removed. Grape bunches were gently destalked with a and lightly crushed. Fermentation took place in 7-ton, open-top stainless steel tanks with yeast WE 372 being added to the juice. The wines were pumped-over and punched-down manually five times a day to ensure maximum colour extraction from the skins. After primary fermentation the maceration period was 10 – 16 days before pressing. The wine was then aged for 17 months in 300L French oak barrels, of which 20% were new. Has a nicely defined, cedar and tobacco-tinged bouquet that is nicely controlled, and really expresses the grape variety with confidence and style. A nose of sweet cherry, coconut and spice opens to an intriguing palate lined with masses of juicy ripe fruit. 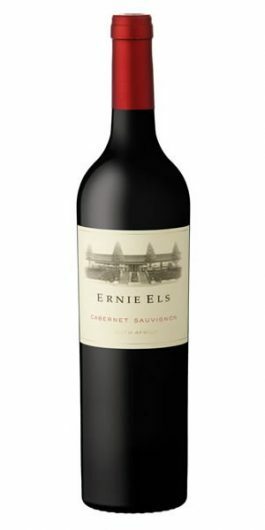 A hint of mint, milk chocolate and blackberry all add complexity, while the tannins are softly-textured and welcoming. The finish is long, fresh and layered with dollops of sweet fruit and spicy oak. The 2013 harvest season started a week later than usual. Prolonged winter conditions continued in some areas up until September, followed by a cool spring which delayed bud burst by 7 to 14 days. The cold, wet weather conditions ensured even bud burst as well as the accumulation of water supplies that would allow the vineyards to cope with the warmer conditions later in the season. Ideal weather conditions during the harvest season prevailed with moderate day-time temperatures, cool evenings and no prolonged spells of rain or heat waves; this all impacted positively on grape quality and established good colour and flavour. The grapes were hand-picked in the cool of early morning. On the sorting table, all excess stalks and inferior berries were carefully removed before grape bunches were gently destalked and lightly crushed. Fermentation took place in 7-ton, open-top stainless steel tanks. The wines were pumped-over and punched-down manually 5 times per day to ensure maximum colour extraction from the skins. After primary fermentation the maceration period was 10 – 16 days before pressing. Aged for 18 months – 70% in 300 litre French oak barrels and 30% in 300 litre American oak barrels (50% new).